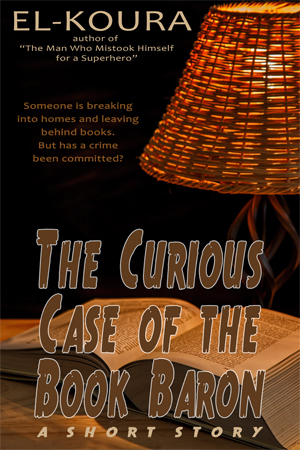 “The Curious Case of the Book Baron” is a short mystery story for people who love books and reading. The ebook of “The Curious Case of the Book Baron” is currently available for purchase at Amazon.com , Amazon.co.uk , and Amazon.ca. “The Curious Case of the Book Baron” was originally published in Issue 4, Volume 12 (Spring 2006) of Storyteller and is reprinted in the author’s collection Ooter’s Place and Other Stories of Fear, Faith, and Love.